Stefanie & Andrew were so relaxed about their wedding. Stef told me that her two sheep dogs were to be her bridesmaids. And they were just perfect-it was really such a cool and cute idea. 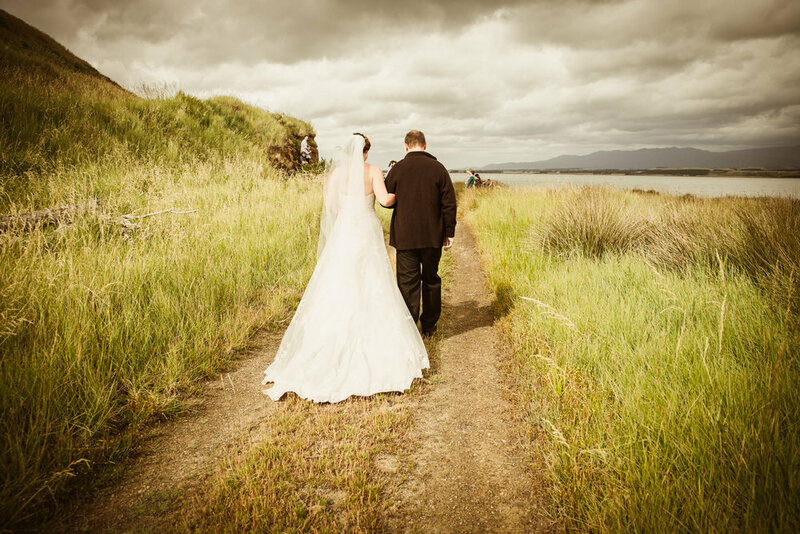 The Onoke Spit near Ocean Beach in the South Wairarapa was such a perfect place for the Ceremony for this very "outside" orientated couple. Everything went just so beautiful and smoothly, including the weather in this unsettled seeming Summer. "Silver with Distinction" in the Creative Portrait Category. "Silver Award" in the Classic Portrait Category.